Namur has been touched by war and there is nothing tropical or lovely left. It looks as though someone with an imagination of his own had tried to make a Hollywood set for Journey’s End. Namur is a dry, hot, fetid version of the worst section of No Man’s Land that France ever had to offer–no living green thing, blasted tree trunks, huge gaping shell holes–disemboweled trucks, heaps of concrete and lumber that were once fortifications–bodies by the thousands–parts of bodies–so disfigured that they beggar description–horrible. – 1Lt. Philip E. Wood, Jr. Bound For Combat: Not Afraid Of What Is Coming. February 1: Christ, This Is It. Night On Namur: Better Not Shoot Me, You Sonuvabitch. February 2: Like Hunting Rats. The Occupation: We Had To Bury Those Dead. The Return: It Is A Sad Voyage Back. Accounts for casualties sustained between February 1 and February 5, 1944, based on muster rolls for the battalion. A co-worker’s uncle (Frank Rossel) served in this unit in WWII. That’s how I learned of your website. As a Marine (’99-’11, 1371 and 0802) and a historian by education, I wanted to say thank you for the amazing story you have here. The whole website is a wonderful resource, not only to research, but also to remember those who’ve gone before. My uncle was part of the 20th Marines that lost their lives when the torpedo storage was blown away with a satchel charge. I would like to find the names of those men that lost their lives in that ammo dump explosion. A possible six out of eight. 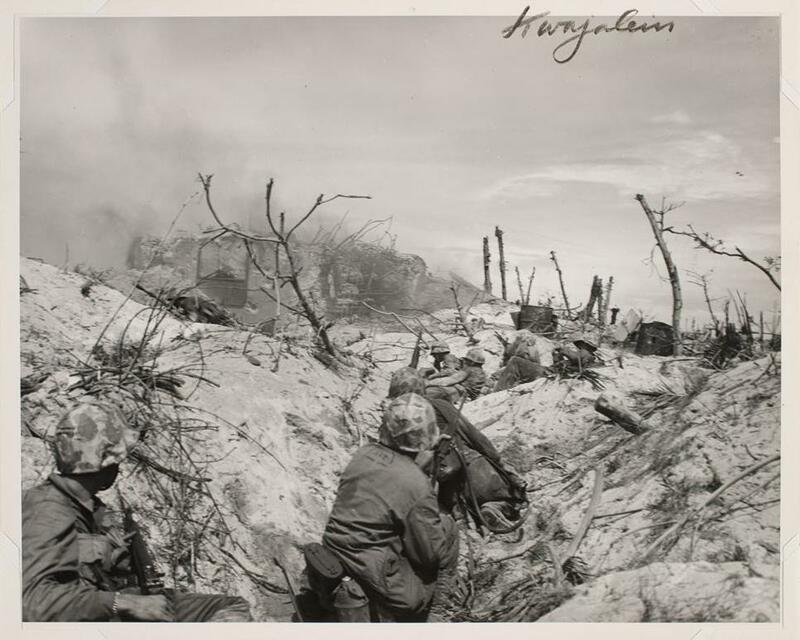 (A further three B/1/20 Marines lost their lives on 2 February, and a fourth died on 4 February of wounds sustained on 2 February.) Unclear where the other two fatalities came from; the “missing” case was evidently resolved. The wounded man is not known for sure, but Private Edward M. Brown (demolitions) suffered “deafness, total and amputation, traumatic, first joint, second finger, right hand” on 1 February, which could be due to that explosion. If you could let me know your uncle’s name, I can look into this further for you.